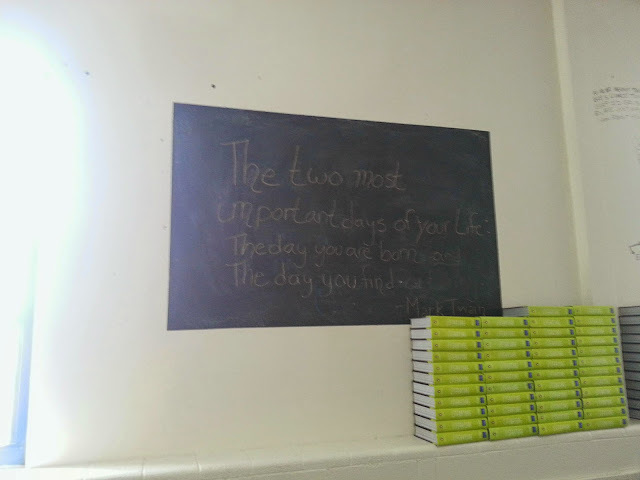 I am in the process of transforming my classroom. I believe that secondary classes can and should be as much fun to be in as elementary classrooms. I wanted a theme and color scheme. After spending several weeks trolling Pinterest, I have a board full of ideas(My Classroom Pinterest Board) and have started shopping. I am very fortunate to have my classroom. 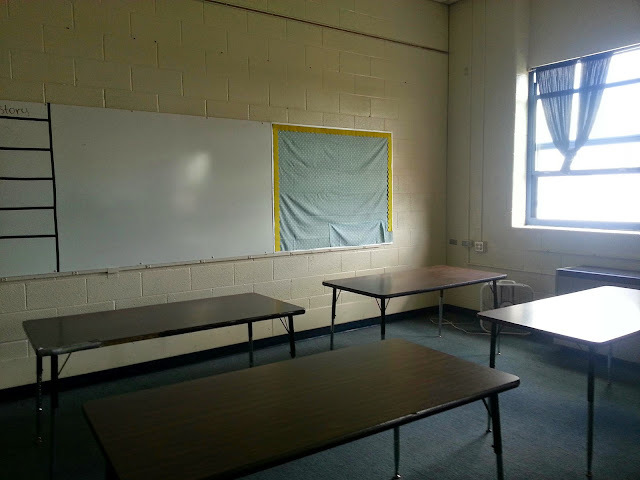 It has massive ceilings, power strips on three sides of the room (it use to be the typing room), and two windows. I have a TON of wall space. 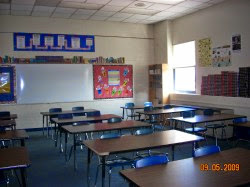 Here are the before pictures from the school year. I know they say 2009, but not much has changed in the five years I have been in this room. From the back looking to the front. I moved the flag and had the T.V. removed. The door is on the right. See my tutorial on how I created this! I started out with purple and red because I have to bulletin boards covered in that fabric already, but my hubby suggested that purple and read were bruise-like, not attention-grabbing enough, and matched the red hat lady clubs. Needless to say, he convinced me to change my pallet, so we come to purple, lime, and black. Here are the fabric and borders for my room. 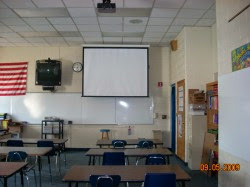 The black chevron will be made into curtains because the blinds don't hold up to high school students. My new theme and color pallet. The fabric I purchased at our local fabric store with a coupon and a teacher discount! 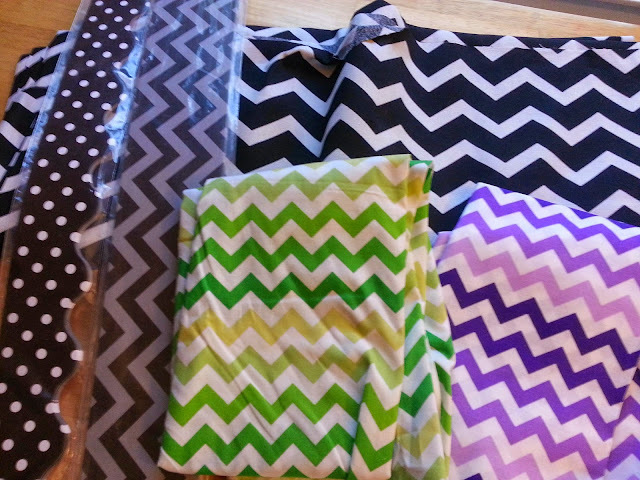 I will use the colors on my bulletin boards with the borders (Dot and Chevron), which I purchased on Amazon. Also, I have been keeping my eyes out for ANYTHING and EVERYTHING in purple and lime. I even have a few items on my wishlist on Amazon. This photo is what my room looked like today when I went in to measure windows and drop off the above purchases. Needless to say, it needs some TLC. Back left corner of my room. My lovely purple and read bulletin board at the back and one of my book shelves on the left surrounded by the piles I had to move off from furniture, so my room could be cleaned. It is more organized than it looks. Back right corner. 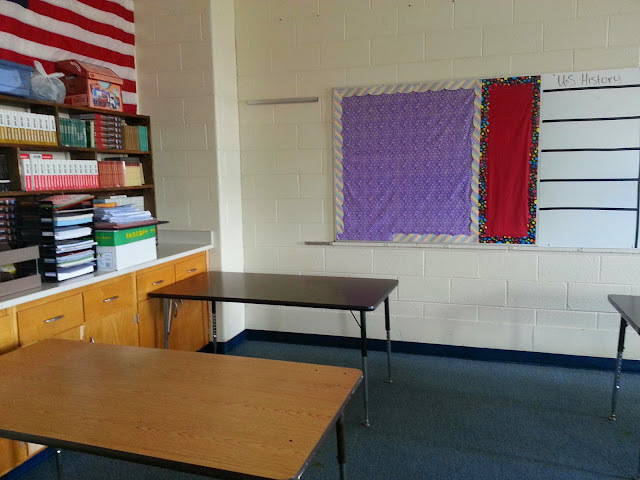 My ugly bulletin board that needs some work and my back white board. 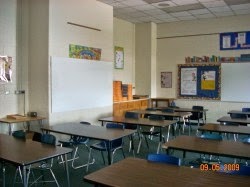 Anyone have big plans to redo their classroom? Follow Sarah Ross-Koves's board Classroom on Pinterest.